Hot springs is one of the best way to relax and enjoy a long awaited vacation! The health benefits of hot springs has been an ancient remedy for many illnesses according to the Chinese. No wonder China is becoming one of the most popular destinations for hot springs and spa resorts. Visiting hot springs is really a romantic vacation for couples or for those who need time away to relax and wind down. Below are the top 5 hot springs that are well worth a visit and will definitely be worth the trip. 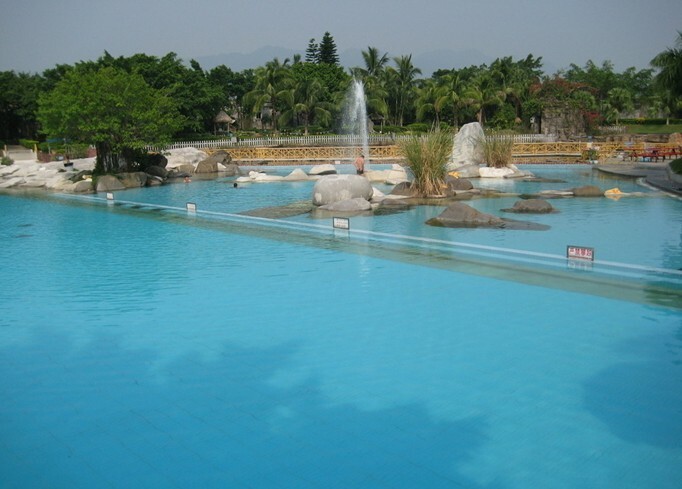 The Nantian hot springs remain one of the most popular choices for those who want to reap the health benefits of the natural springs in Sanya. 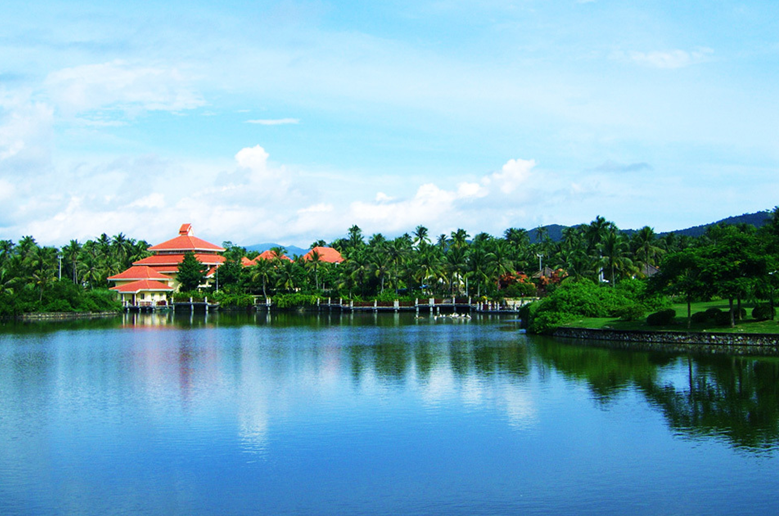 The location of the Nantian springs is ideal for capturing the tropical scenes and with the dancing coconut trees and great sunshine and the sound of the relaxing sound of waves splashing against the shores. The scenery is also magnificent with Wuzhizhou Island located right across the sea and with the Monkey Island as its neighbor and Yalong Bay on the south you can enjoy scenery from all sides! 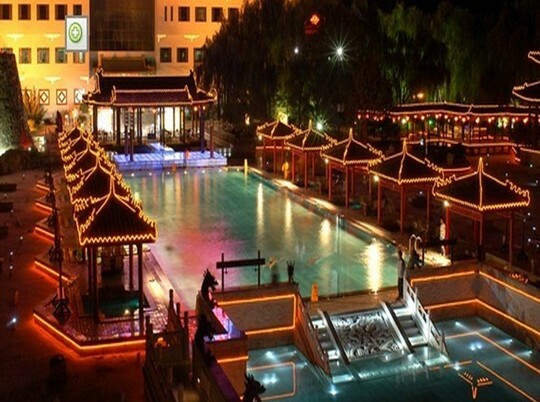 Jiuhua hot springs is perhaps the most representative hot spring resort of Beijing. What makes Jiuhua resort outstanding from other resorts is the Qing dynasty décor and its herb immersed pools that have the reputation for healing. Walking the stone paved stairs towards the different pools in the resort you can capture a glimpse of the wonderful architecture. The resort is built exactly on the site where Qianlong emperor and Cixi empress once bathed. 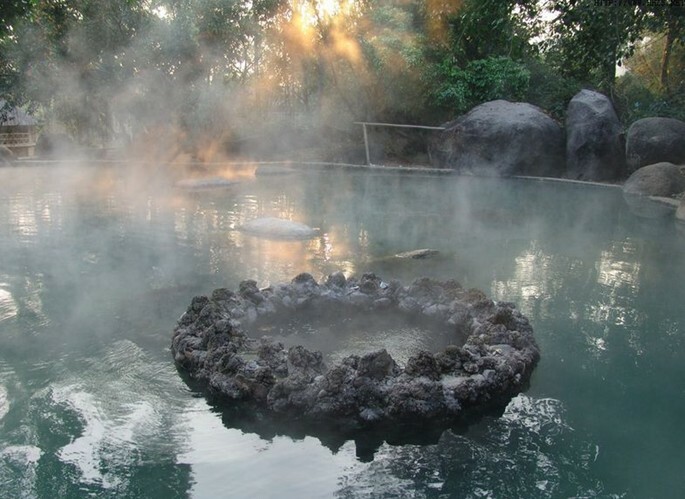 There are a total of 80 hot springs and 17 herbal baths. Dezhong hot spring is situated near Lhasa and is known for its healing benefits. 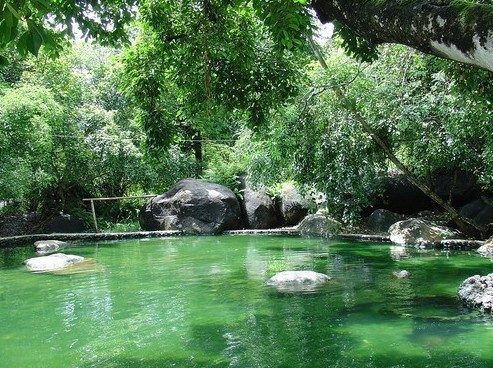 The hot springs are popular amongst tourists and locals who flock to this wondrous hot spring. Whilst bathing in the hot springs you can enjoy the beautiful view of the distant mountains and spectacular Tibetan scenery. Those visiting the hot spring are advised to adapt to the high plateau environment before venturing to the hot springs. Yunnan’s Jingpengmengla hot spring is the perfect destination for those who want to be immersed in the local ethnic cultures! The water temperature ranges from fifty centigrade to sixty centigrade. Lying in the rough pool you can feel the masseuse rocks working their magic and soon all your fatigue will be washed away. There are lush forests, caves and ravines to explore after your hot spring paradise is over.